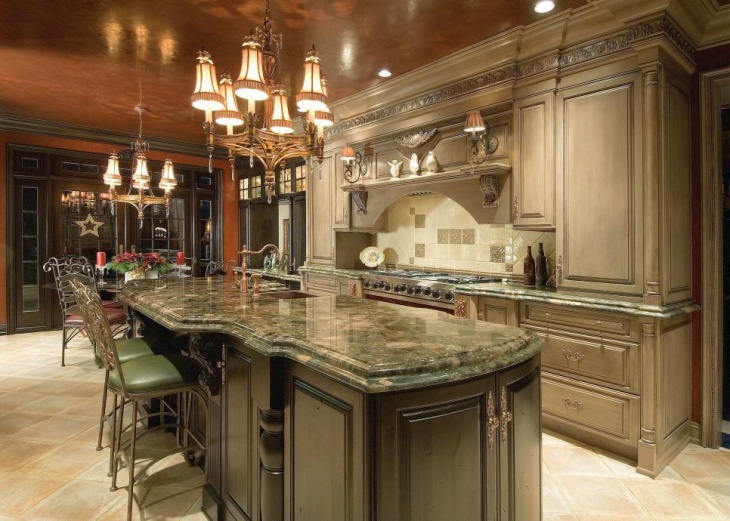 The recessed ceiling lights are important components of the interior of your house. 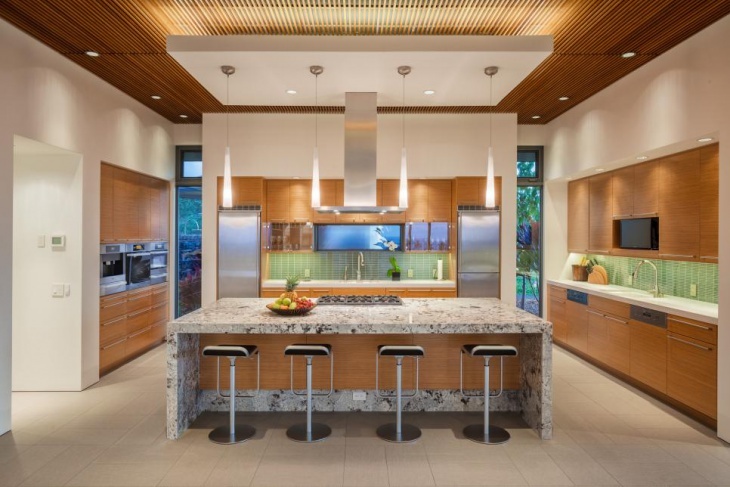 There are a number of contemporary trends where Recessed Ceiling Lights are being used in the homes. 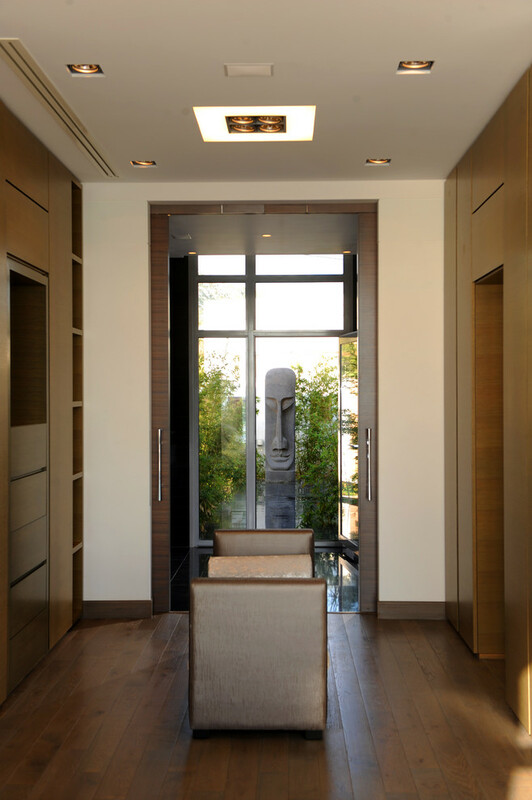 These lights deliver the much-needed effect to the rooms, without which, they look ordinary. The choice of these lights depend on the type of ceiling, furniture in the room, and not to be forgotten, the choice of the people. 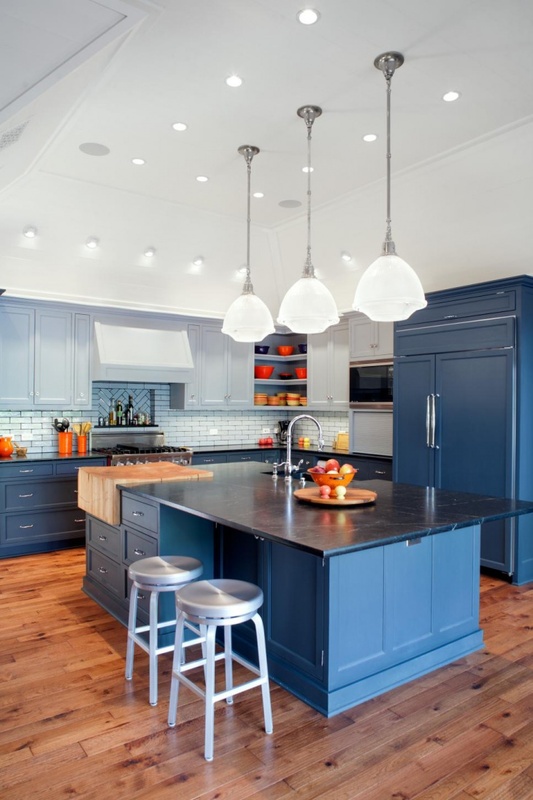 Here are ten recessed ceiling lights ideas that you can incorporate. 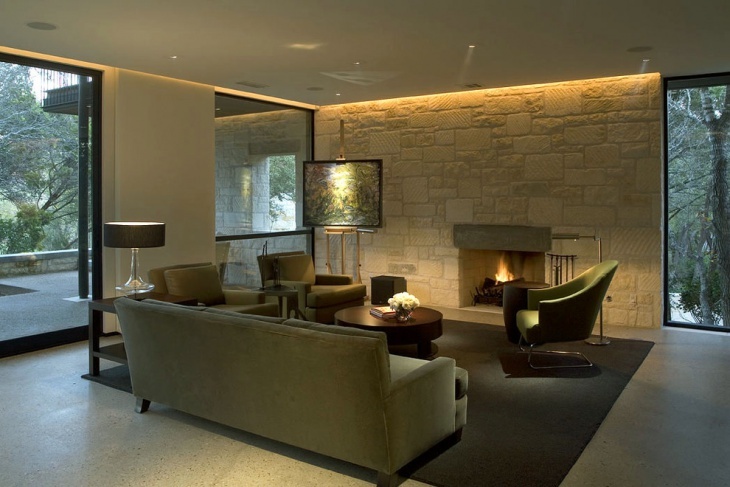 Drawing rooms and lounges need a sleek and beautiful interior. These vaulted ceiling recessed lights go well with the tray ceilings in the spacious rooms. These lights can also be fixed below the wooden pelmet box. This will create a good match with the wooden floors of the room. 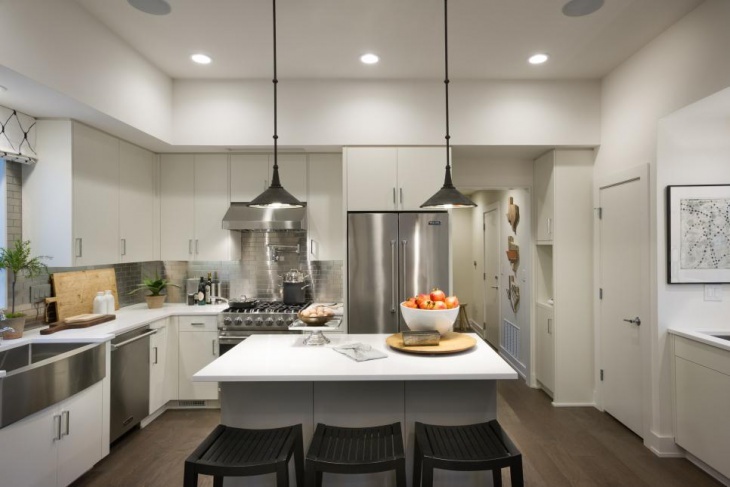 When it comes to narrow rooms with a number of closets and furniture, these square recessed ceiling lights fit the rooms with utmost compatibility. These have a good match with the wooden floors and the well-finished cabinets. Pink walls look good with this setting. People like spacious kitchens with tray ceilings, and when you fix the recessed ceiling lights there, they glorify the interior of the room. These white lights go well if you have a porcelain tile floor. 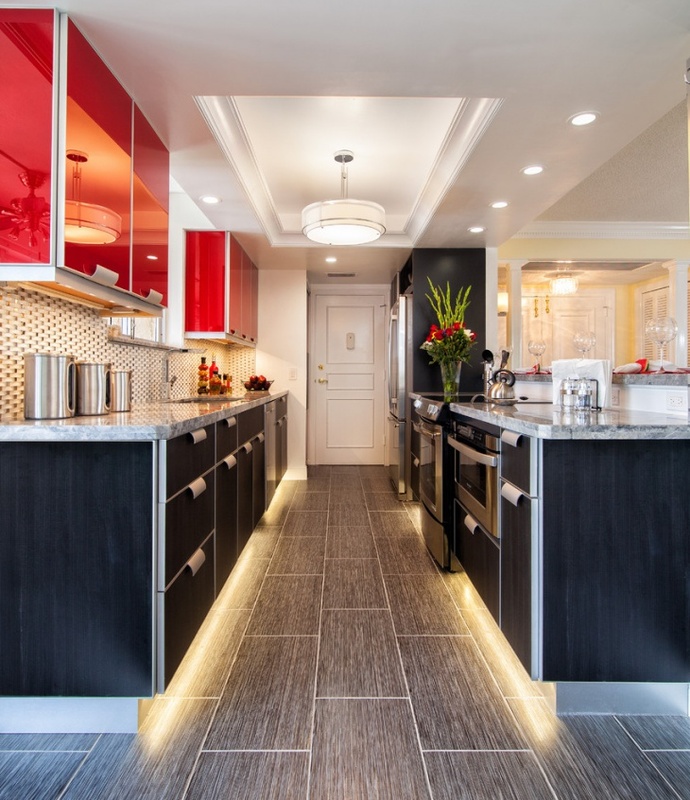 The red cabinets are a good match with the lights. Fix the lights above the passage with black cabinets on the sides. 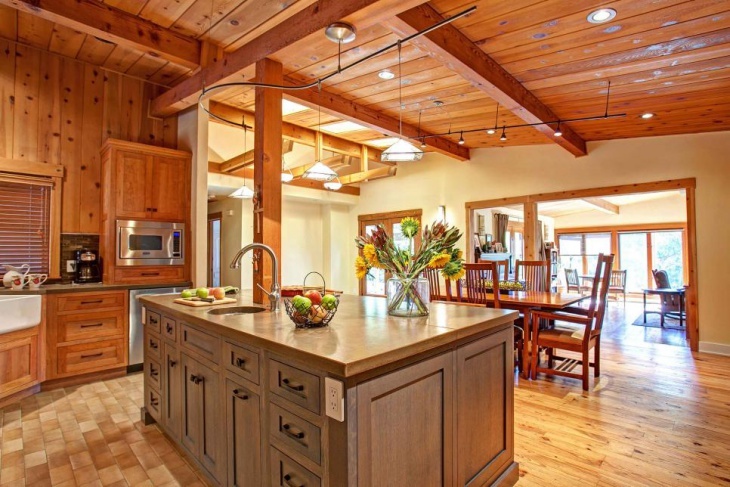 Contemporary cottages and log houses that have sloped wooden ceiling can be richly lighted up with the sloped ceiling recessed lights. These lights have a good parity with the slate and wood floor of the room. 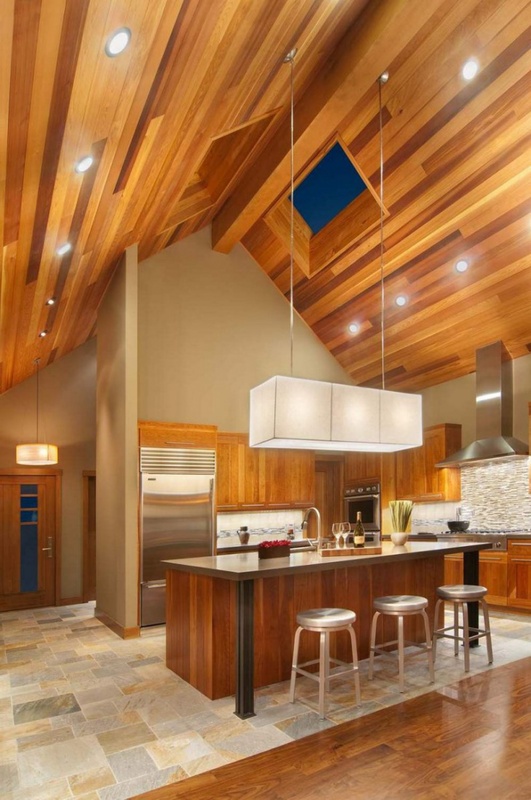 The ceiling, with differently shaded strips of logs, looks great with these lights. This is one of the most luxurious rooms, where the lights are suspended from the hanging ceiling. These lights go well when there is bamboo furniture in the room. 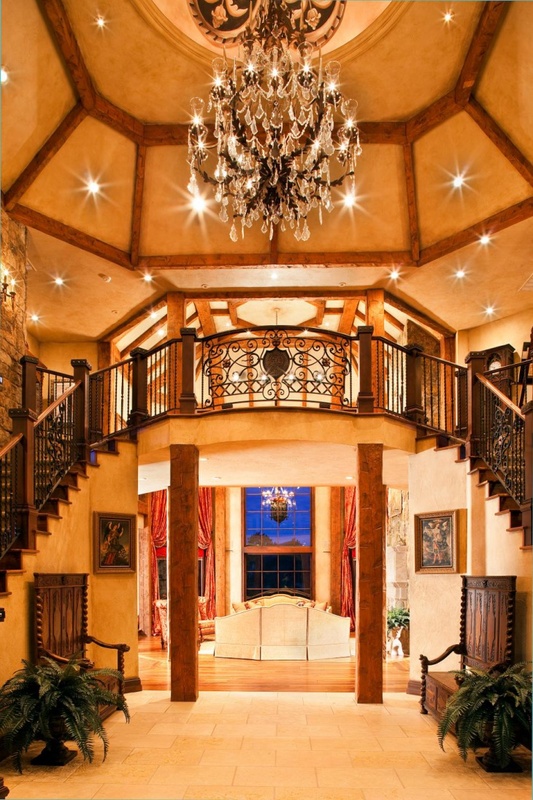 The drop lighting makes the room even more elegant. These lights are compatible to the brown sofas and floors. These lights are ideal for the lobbies in the offices. The small recessed ceiling lights are placed far apart from each other, which create the right ambience in the office. 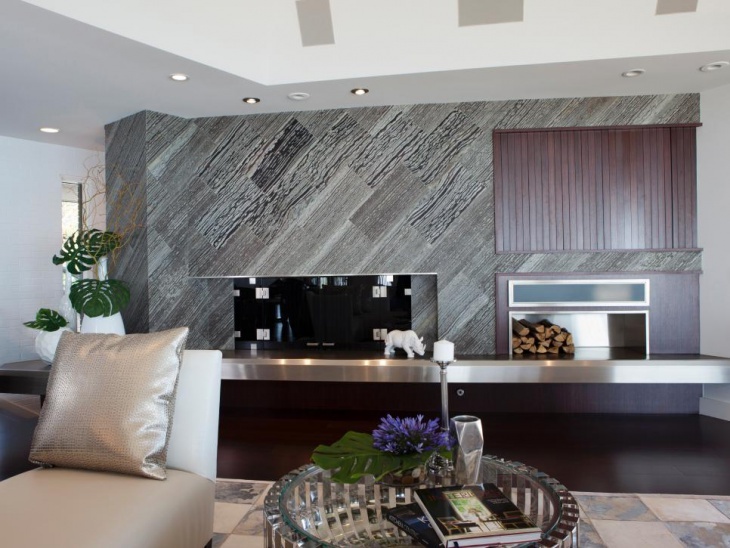 The furniture and walls also look smart when you opt for these recessed lights. 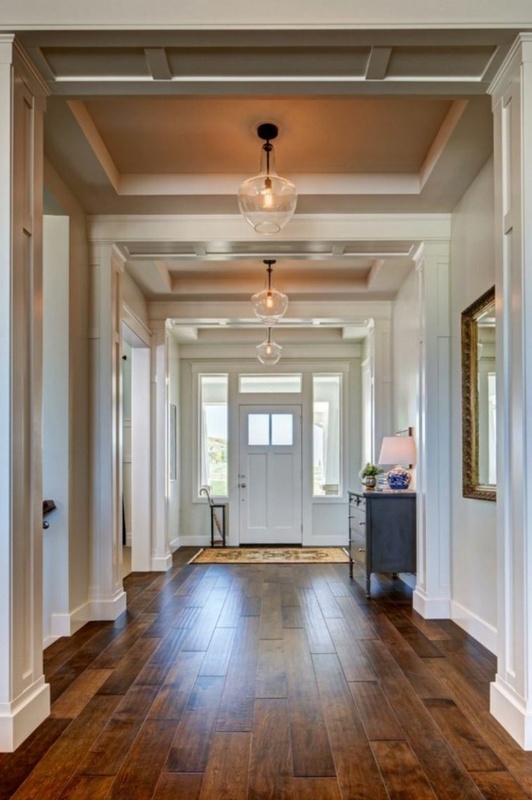 When you look out for recessed ceiling lights for the halls, you can incorporate this idea. These lights go well when they are fixed at the entryway of the house. 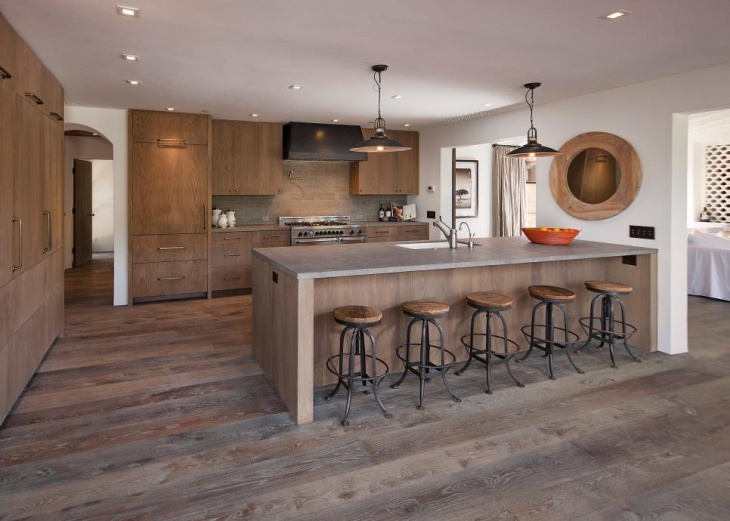 They create a stunning match with the wooden planks of the floor, well-polished and burnished. 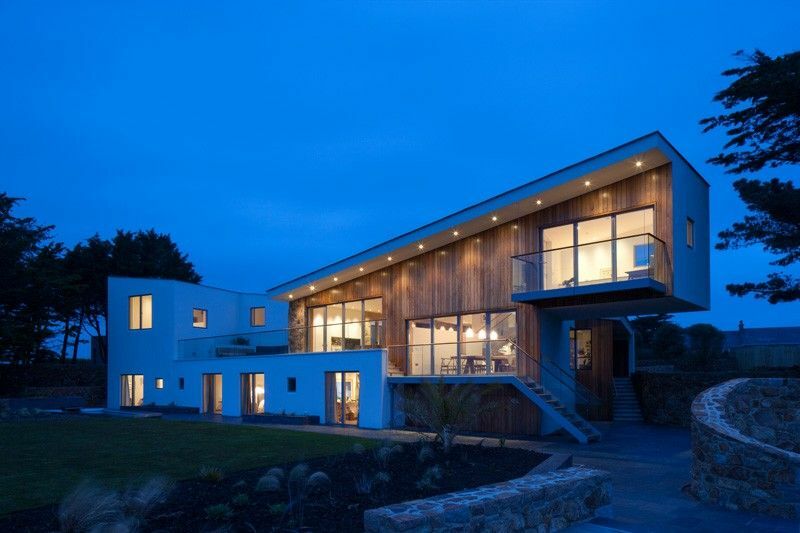 Modern houses with a wood-clad exterior crave for smart looking exterior recessed ceiling lights. When you have a spacious exterior like a lawn leading to the home, you can use these lights along a line at the top of the house, hanging from the top. These lights look great on the walls visible through the large glass panes. Large and spacious living rooms need rectangular recessed ceiling lights to live up to the elegance. 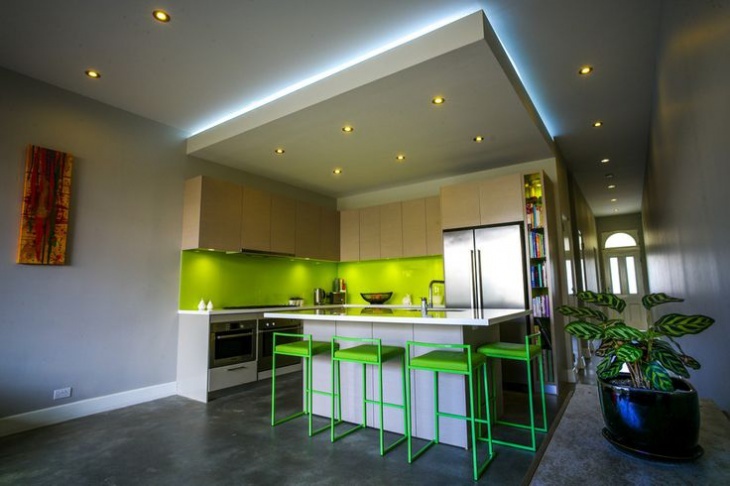 These lights are fixed in pairs within a black rectangular space created within the white ceiling of the room. These lights go well with the brown floors of the room. Apart from all these ideas, you also have other options like the recessed bathroom ceiling lights. These lights add the desired shade to the rooms and look beautiful when they are matched with the paint colour of the walls. 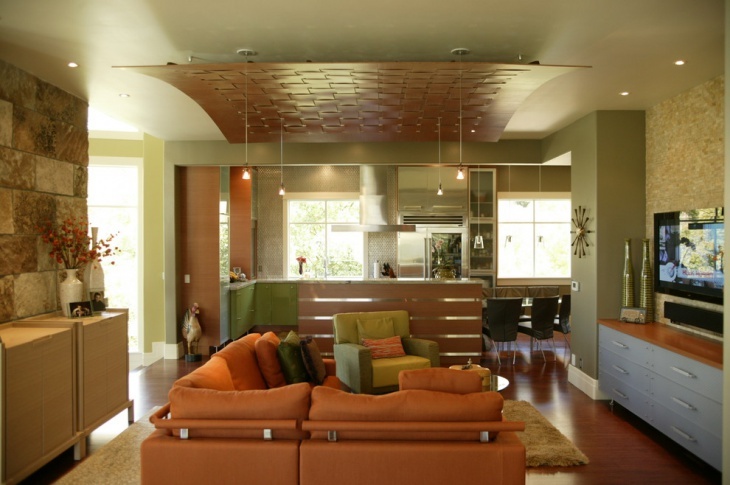 There are many other concepts of Recessed Ceiling Lights, and you may come up with newer ideas. Feel free to share them with us.